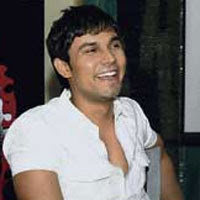 Randeep Singh Hooda was born in a small village called Daseya in Rohtak district of Haryana to a Hindu Jat family. His mother, Asha Hooda, is a social worker and his father, Dr. Ranbir Hooda, is a surgeon by profession. When he was eight years old, he went to a boarding school MNSS in Rai, Sonepat, Haryana. He then went to Delhi Public School, R K Puram, New Delhi. He was anti-establishment and rebellious at school and was goonda of the school. "If anybody had to skip school, leave school, get drinks, get their exam papers done by someone else, I was the guy who arranged all that," he stated in an interview. Then he moved to Melbourne, Australia in 1995 for higher studies. He got a Bachelors in Marketing and a Masters in Business Management and Human Resource Management. During that time he peeled onions in a Chinese restaurant, worked in a car-wash, waitered-tables, and drove taxis for two years. In 2000 he returned to India and got a job in the marketing department of an airline and was acting in stage theatres.